empowers employees to make a difference. and true methods of staying late and working longer aren’t working. Instead, this is creating an energy drain on the employees, which is being seen as the cause of lower productivity. This is due to the employees being exhausted, disengaged, and stressed out to the point of becoming ill. Employers should develop practices to help employees renew four different aspects of their personal energy: physical energy, emotionally energy, mental energy, and spiritual energy. By helping their employees build habits to renew those aspects of energy usage, it opens the door to increase overall productivity for the employee. from well-meaning managers. What could be happening when poor performers fail to improve? Sometimes it is the manager, unintentionally setting the employee up to fail. A failure on the employee’s part leads to micromanagement on the manager’s part, which causes the employee to doubt himself and shy away from decision-making, leading the manager to trust the employee less and micromanage more beginning a death spiral. You might call this the “set-up- to-fail syndrome”. You ultimately wind up with an overworked manager, and usually a lost employee. It does not have to be fatal; it can be reversed with a simple course of treatment. The primary treatment being to change the communication dynamic between the manager and the employee to help restore trust. building to develop an effective team. To do this, your team must: Be Innovative; Be Collaborative; Communicate Effectively; Be Organized; Have a Robust Work Ethic; & Promote Diversity on the team. Innovative thinking involves risk, so you and your employees must demonstrate the courage to thrive. 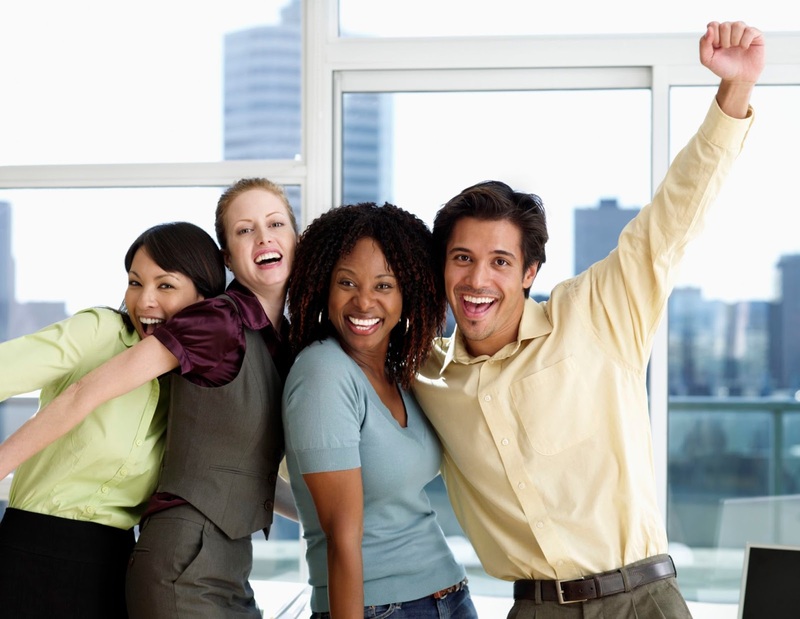 Your team members should encourage each other to be successful and build on one another's accomplishments. A diverse team allows more perspectives and introduces new and unique ideas. Having a diverse team enhances creativity and group problem solving. As a leader, my team and I quote one of our favorite Lady General Facts (KC Fox, The Lady General Foundation), "No Woman Is Greater Than Her Team". A simple definition could be stated as: the basic human ability to be fully present, aware of where we are and what we’re doing, and not overly reactive or overwhelmed by what’s going on around us. It’s a pretty straightforward word. It suggests that the mind is fully attending to what’s happening, to what you’re doing, to the space you’re moving through. That might seem trivial, except for the annoying fact that we so often veer from the matter at hand. Our mind takes flight, we lose touch with our body, and pretty soon we’re engrossed in obsessive thoughts about something that just happened or fretting about the future. And that makes us anxious. Why should business owners care about mindfulness? Top executives are starting to see by decreasing how much they stress out over today's problems, and decreasing anxiety over tomorrow's potential woes, they pave the way for mental clarity, creative thinking, higher-level awareness for better decision making. But what about entrepreneurs: The startups, the one-woman show, life coaches, mentors, speakers, and authors— those out in the wilderness on their own, taking risks and trying to change the world in their own little (or big) way. 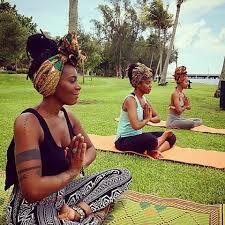 How can mindfulness help these ladies? When we give ourselves 10 minutes (or more) of space to quiet our mind we become better at noticing the opportunities that otherwise might pass us by as we go around in a state of overwhelm. As you create a regular time for yourselves you’ll notice that you can achieve more in less time, interruptions become less bothersome and life feels more effortless. 1. Create time for a ‘Creative Hour’ where you turn off all external distractions, gather your thoughts, settle into what you want to achieve for the day and bring your full attention to the tasks at hand. Perhaps you don’t need an hour – do what works for you. 2. Make time for regular breaks – get outside if you can and go for a walk around the block. It can transform your mindset and bring inspiration, focus, and insights. 3. Practice "active listening". When we focus on listening fully to what the other person is saying we have to be present. Go into conversations with clients/potential clients/stakeholders with an open mind, trusting your intuition to guide you to say or do the best thing. The benefits of all this on your business will be reduced stress, more time to think about your business and making decisions from a place of wisdom and authenticity, and strong working relationships with those you do business with and the clients you serve. I was #Winning. Founder and CEO of three schools serving over 300 children and families, the host of a Lifetime Television show America’s Supernanny, speaking and traveling all over the world and married for over two decades. However, the reality was within three years, I had to give up two schools, a show, and a 25-year marriage that left me with the broken pieces. But somebody said, broken pieces can still color. 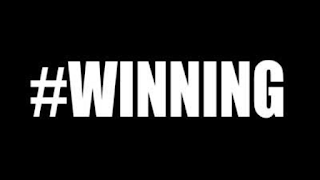 I have learned that #Winning is less about what we “get” in life and more about our ability to “give up” what we think serves our soul in order to “gain” life more abundantly. Henry Ford said, “one of the greatest discoveries a man makes is to find he can do what he was afraid he couldn't do. Never allow fear to stop you from being all that God has called you to be. When your knees are knocking, have the courage to do it afraid. It’s tough to be transparent and open–even those who consider themselves humble don’t want to look like they’ve messed up. But, as human beings we all make mistakes. It is through the lessons of life that we are able to provide value and be a blessing to others. As my Pastor would often say, we can’t heal it until we reveal it. continue walking toward it even though we can’t see it understanding that if God brings us to it, He will bring us through it. It is not what we go through in life that matters, it is how we respond to it. 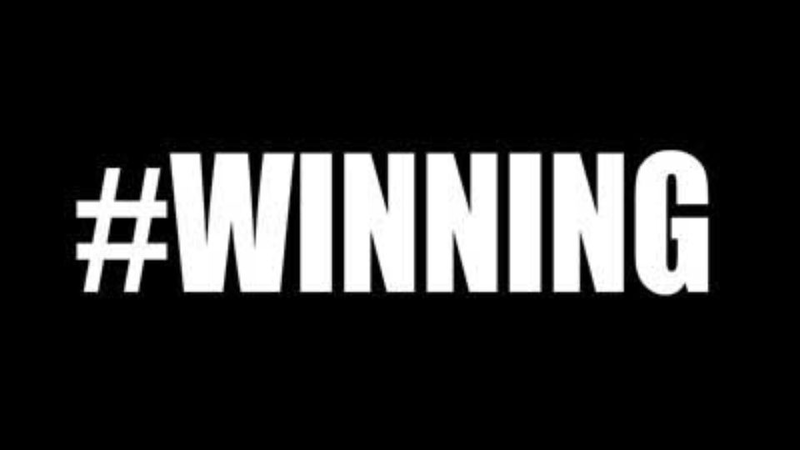 So Yes, in 2017, I am #Winning because of my ability to get back up when I got knocked down still committed to my calling, daring to dream and fighting for my future with the understanding that Dreams Deferred are not always Dreams Denied. If we are going to be TRUE to #Winning in life, know that the race isn’t given to the swift or to the strong but to those who endure to the end. BOSS Spotlight Feature: Kelli Fisher & Tana Gilmore "The Matchmaking DUO™"
Kelli Fisher & Tana Gilmore, The Matchmaking DUO™ , are Certified Life/Relationship Coaches, Certified Matchmakers, national speakers, and authors of the critically acclaimed book, “Relationship DUOvers.” Together, they own Fisher Gilmore, Inc., an exclusive agency which specializes in helping women of power balance a successful career, personal life, and love. In the beginning process of starting our business we faced many obstacles. Because our business is so unconventional, especially with two of us as principals, there were not many blueprints to follow. We had to clearly define our individual roles, strengths, weaknesses, and strategy both short-term and long-term. 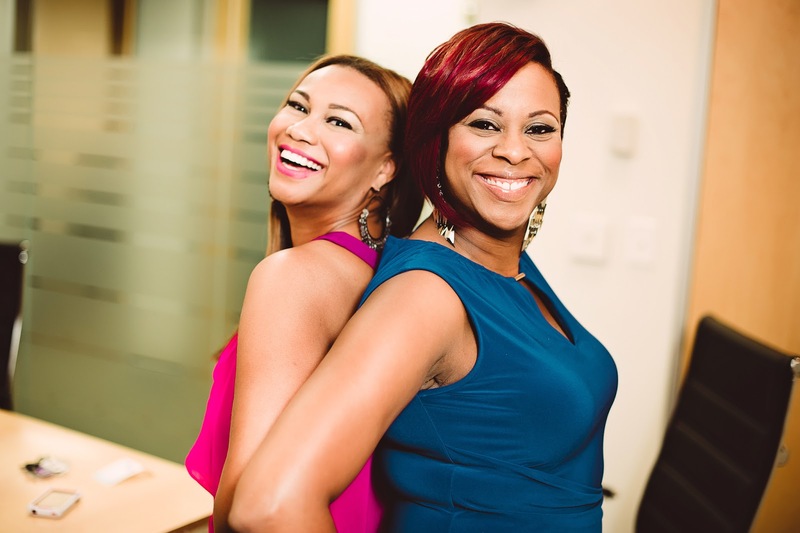 As two African American women, it was apparent that there was a need in the marketplace to rebuild, restore and uplift each other coupled with the tools to find an optimal match. So often we as women have clearly defined goals to move forward in our education and careers which is great because it's easy to forsee the outcome with hard work and dedication. However finding and maintaining love, healthy relationships, and overall happiness in our personal lives we quickly learn is not an exact science and doesn't always go according to plan. We quickly learned that finding the right balance was a universal issue and we were armed with the life experience and tools to help. We use a shared calendar so we can easily plug in time off for personal commitments, vacations, or just family time. When we first started our business we were so excited and wanted to work around the clock but quickly learned that it's easy to get burned out without clearly defined schedules and time off. We learned to work smarter and group various types of meetings on certain days and stick to the schedule, which helped us to use our time more effectively. "If you're the smartest person in the room, you're in the wrong room." We share the sentiment that there's often so much to be learned from others even if they're not in the same field. Our goal is to always seek more knowledge in many areas of business and life. A few "must-haves" to keep our business going strong are, we are life-long learners and constantly staying abreast of new trends. We pride ourselves on being innovators and trying our best to work more efficiently. We set obtainable goals often and hold each other accountable. Additionally we push ourselves to try new things which may be outside of our comfort zone to help others such as sharing personal stories in our book, Relationship DUOovers, launching our new podcast, The LovHER Show with The DUO and accepting invitations to speaking engagements or media opportunities that push us to stretch. A Boss is someone who is a leader. Someone who not only has the ability to be a visionary but can execute with ease under pressure. Most importantly, a BOSS doesn't have to announce it. She walks in and her very presence, humility, and knowledge speaks for her.